The Aryans undoubtedly realized the potential of the elephant as a beast of burden and an instrument of war as they pushed east and south into the Gangetic basin. Forests had to be cleared, goods and people transported, and local tribes (some possessed captive elephants) had to be kept at bay. An elephant force would have been a valuable asset under these circumstances. In the Ramayana, there are descriptions of noblemen and people riding elephants, the giving of elephants as gifts, and the use of elephants in battle. There are several references to chaturanga bal (four-arm forces consisting of elephants, chariots, cavalry, and infantry) (fig. 2.2), and Rama (the lord and hero of the Ramayana) encounters a large elephant force led by his principal protagonist, Ravana (who, however, rides a horse-drawn chariot). Strangely, there are few descriptions of elephants in actual battle and their role is not defined, which seems to indicate that most of the references are later interpolations. The method of capturing wild elephants with the help of trained captive elephants (or koonkies) was known at this time. 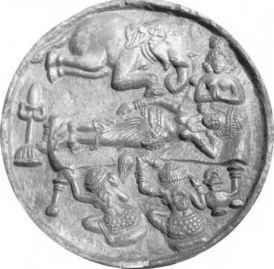 The hunting of elephants (at least by royalty) was accepted practice (King Dasharatha, father of Rama, mistakes the sound of a young hermit drinking from a pool as that of an elephant and kills the hermit with an arrow). The four-arm fighting force of ancient India depicted in this sculpture at Somnathpur (Hoysala period, about eleventh through thirteenth centuries) in Karnataka. From the bottom, the panels show elephantry, cavalry, and infantry/ chariotry. Chariotry is believed to have declined in the subcontinent during the Christian era. b.c. for the Aryans. With the ancient texts, the possibility of interpolations in later versions (the revised form of the Valmiki Ramayana, for instance, known to us dates to the fifth century a.d.) must be kept in mind. The Mahabharata has more vivid descriptions of the use of elephants in battle and provides the earliest authentic account of the war elephant. The elephant is such an integral part of the chaturangini sene (or four-arm fighting force), which is so basic to the descriptions of the war in the Mahabharata that Lahiri-Choudhury believes these could not possibly be indiscriminate later additions. However, in spite of the use of elephants in warfare, the horse-drawn chariot was still the main fighting arm of the two forces, those of the Pandavas and Kauravas, in the Mahabharata. Experts in elephant warfare are specifically identified as coming from aboriginal hunting tribes. Lahiri-Choudhury points to one interesting aspect of the elephant and horse cultures during these times. While the elephant culture had developed considerably in the wetter eastern regions of India, the horse culture continued to dominate the drier west. 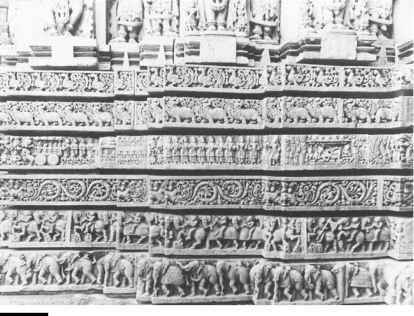 This was a reflection of not only the relative abundance in the distribution of wild elephants, but also that they had military significance (Bhishma's advice to Yudhishtira was that horses and chariots were to be deployed during the dry season, but infantry supported by elephants was to be favored during the wet season). The ecological status of northern India during the first millennium b.c. is thus a distinct west-east gradient, the west being dry and often devoid of any forest, the result of climate change and centuries of exploitation by a large human population, and the east a relatively wetter, forested tract with a lower human density. The paleoecological evidence indicates that the weakening of the Indian monsoon that set in during the third millennium b.c. over the subcontinent persisted at least up to the dawn of the Christian era. Without sufficient natural vegetation to support elephants, the Northwest remained practically devoid of wild elephants and had only relatively small herds of captive elephants, while both wild and captive animals increased in abundance in the procession eastward. From the middle of the first millennium b.c. onward, we are on firmer ground with respect to the chronological record of Indian history. By about 600 b.c., northern India saw the establishment of republics and kingdoms. While the monarchies were concentrated in the Gangetic plains, the republics were established in the peripheral hilly country to the north along the Himalayan foothills and in the northwestern Punjab. It is plausible that the republics, consisting of a single tribe or a confederation of tribes, pre-dated the monarchies. The earliest of the major kingdoms known was that of Magadha, situated in the wetter eastern Gangetic basin in present-day Bihar. The nearby forests provided timber for building and a good supply of elephants for the army. The rise of Magadha during the sixth century b.c. was contemporaneous with the preachings of two great thinkers, Mahavira and Gautama Buddha, whose teachings form the basis for two major religions, Jainism and Buddhism, respectively. Both Jainism and Buddhism put great emphasis on ahimsa or non violence toward all creatures. (Incidentally, the metaphor of the six blind men each touching a different part of the elephant and interpreting the object accordingly can be traced to Jaina teaching.) The elephant came to have a special symbolism in the practice of Buddhism. The Buddha himself is considered the reincarnation of a sacred white elephant (fig. 2.3), while images of Ganesha abound in Buddhist countries as far as China and Japan. The Jataka stories, a collection of folklore on the Buddha's former births, were possibly originally compiled by the second century b.c. Several of these are set in eastern India and speak of royal elephants, elephant festivals, elephant trainers, and killing of elephants for ivory; in short, there is an emphasis on elephant culture. This is consistent with the increased emphasis on elephants as opposed to horses in the moister Himalayan foothills and the eastern region of the subcontinent. 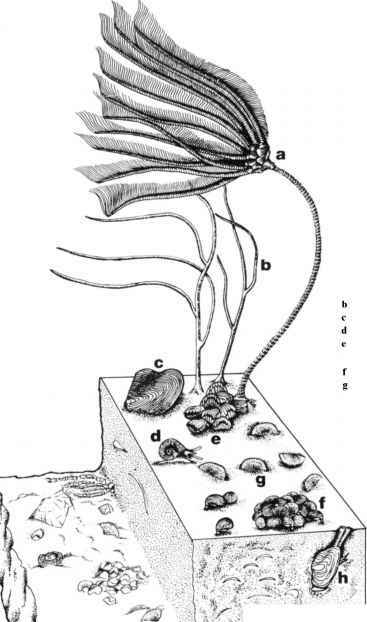 reaching the Beas (Hyphasis). Apparently, the Greek soldiers had been shaken up by Porus's elephant force and did not wish to face the vast numbers of elephants they heard were beyond the Beas in the east. This was not entirely without substance. Apart from the much larger elephant army of the Nandas, there were certainly similar forces held by other tribes of the subcontinent. Chandragupta Maurya, who usurped the Nanda throne in 321 b.c., reputedly had 9,000 elephants in his army. The Greek campaign in northwestern India did not have any significant political impact on the east; in any case, the campaign lasted for only two years. Ecologically, too, there was a void between the Northwest, watered by the tributaries of the Indus and the fertile Gangetic basin further east. The decline in precipitation, which had set in by the third millennium b.c., and perhaps tectonic activity changed the hydrology of the rivers considerably in the Indus basin. The dry plains between the Indus and Gangetic basins thus may not have been territory that was much sought after, and few wild elephants, if any, may have survived there. The retreating Macedonians, however, took with them several dozen elephants; these, along with the elephants acquired by Alexander's successors, were to make a lasting impression on and influence the military history of the Mediterranean. With the rise of Chandragupta Maurya, the culture of capturing and training elephants, their veterinary care, their deployment in the army, and even the protection of wild elephants was firmly established. The Mauryan Empire, which controlled a vast territory over the subcontinent, was a formidable one by any standards. A highly centralized bureaucracy, with a role that was well defined, was needed to administer it, and a vast army, described as an economic liability in peacetime, was needed to secure its borders. Pliny the Elder, the famous Roman writer, cites a figure of 9,000 elephants in the Mauryan army, with a further estimate of at least 5,000 elephants held by other tribes in the subcontinent. We have no reason to disbelieve these figures entirely. The subcontinent held large stocks of wild elephants, and their overexploitation through an elaborately organized system of management was certainly possible. This would also have resulted in local extinctions of elephant populations in the Gangetic basin. Chandragupta was the protege of the Brahman Kautilya (also known as Chanakya), the chief architect of the elaborate system of administration recorded in the Arthasastra (a manual on statecraft originally devised around 300 b.c., although the present-day version is believed to have interpolations until about a.d. 300). The Arthasastra advised that the king should set up sanctuaries in the forests along the periphery of the kingdom for the protection of wild elephants as sources for the Mauryan army, and that any person killing an elephant was to be put to death. Kautilya was quite explicit in asserting the importance of these sanctuaries for supplying the army with elephants. The Arthasastra records that, "Some teachers say that land with productive forests is preferable to land with elephant forests, because a productive forest is the source of a variety of materials for many undertakings while the elephant forests supply only elephants. Kautilya disagrees. One can create productive forests on many types of land but not elephant forests. For one depends on elephants for the destruction of an enemy's forces." Obviously, a debate over forest and land use, much like in modern times, had raged during the Mauryan times! There is also a strong hint of the production forests and elephant forests being ecologically different; the former could have been moister tracts, yielding timber, and the latter drier tracts or secondary growth preferred by elephants. The administration included a superintendent of elephants, who was responsible for the management of elephant forests and captive elephants. As many as 15 different job posts are also prescribed (in comparison, there are just four or five such posts in vogue today). The Arthasastra also gives instructions for the capture of elephants and their classification, training, diet, health care, and deployment in battle. It also mentions the distribution of wild elephants at that time. Eight gaja vanas or elephant forests are listed in the Arthasastra, while later texts provide more information about these forests and their elephants. Historian Thomas Trautmann provides descriptions of the geographical extent of each of the gaja vanas, spread over the subcontinent, with the curious exception of the extreme south (perhaps understandable because the Mauryan Empire or its successors never extended to the southern tip of the peninsula). With the exception of the Pancanada Vana in the north, the Indo-Gangetic basin is clearly seen as largely devoid of elephants. These Sanskrit texts also rank the forests in terms of the quality of their elephants, perhaps an indication of the nutritional status of the elephants and, hence, of the ecological status of the habitat. Interestingly, the elephants of Saurashtra in the west and the Indus to the north, the most arid regions within the range of elephant distribution, are described as being of the lowest quality. The system of elephant management that had developed by the Mauryan times seems to have changed little over the next 2,000 years or so until the arrival of the British in the subcontinent.